Just running and having a good time in the process. 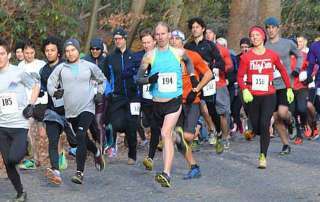 We are a diverse group of runners that participate in a variety of road and trail sporting events. 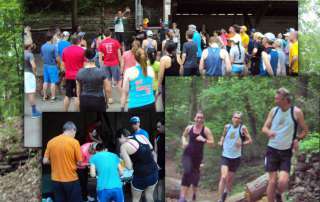 But most of all, we enjoy running the trails of Philadelphia’s Wissahickon watershed. 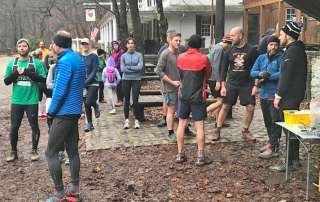 We organize several events during the year including Spring/Fall trail series, Wissahickon Trail Classic, Solstice Run, marathon water table, and more. 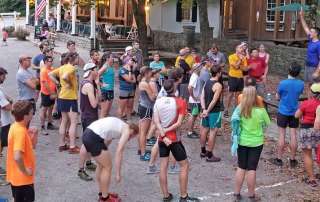 We have group runs on Thursday evenings and Saturday mornings. Throughout the year we may add track workouts, hill training, and other semi regular events. Check our Facebook page for the latest or to check on the status of an event..
Saturdays @ 8:00 am at Valley Green. Map » Pace and distance varies. All runners welcome !